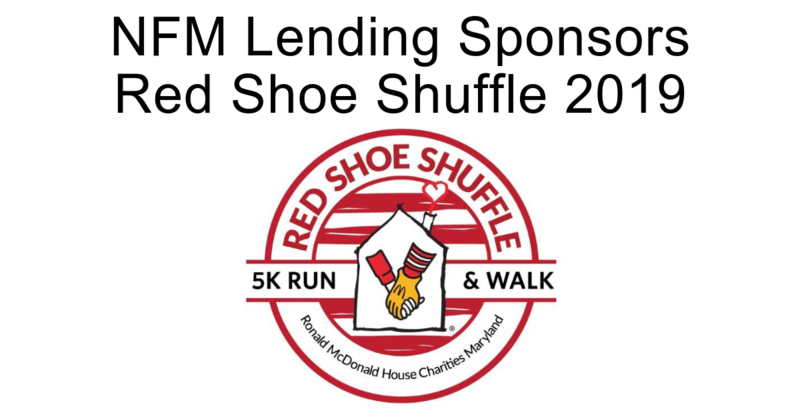 LINTHICUM, MD, March 29, 2019— NFM Lending is proud to sponsor the Ronald McDonald House Charities Maryland’s (RMHCMD) 8th annual Red Shoe Shuffle 5k Run and Walk. The event will take place on Sunday, April 7, 2019. Each year, a group of NFM Lending employees and their family members participate in the Shuffle, either as runners, or as volunteers. This will be NFM Lending’s eighth consecutive year sponsoring this event. The Ronald McDonald House Charities Maryland is an organization that provides a cost-free ‘home away from home’ for seriously ill children and their families while undergoing treatment. They also work with and help fund programs in the local area that directly improve the well-being of children. Since 1982, the RMHCB has housed more than 35,000 families from not only around the country, but the world. 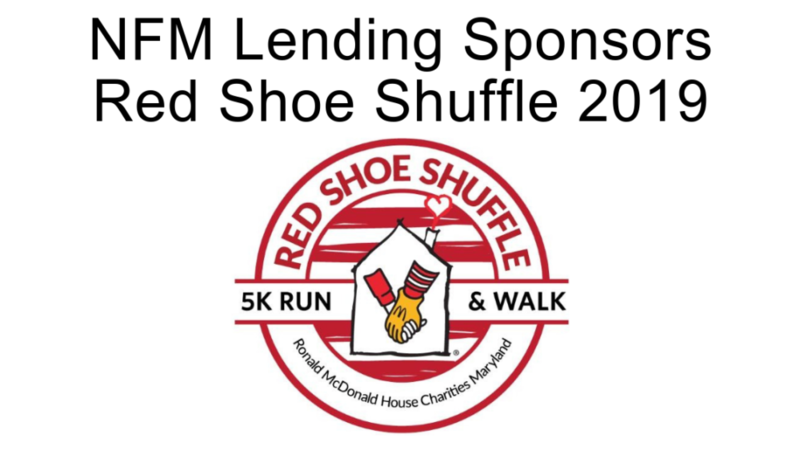 Money raised from events like the Red Shoe Shuffle have provided RMHCMD the means to build a larger facility to increase the number of families they are able to house every day. According to their website, “The new House will serve approximately 55 families daily and 2,200 families annually.” The new house will open later this spring. NFM Lending is proud to support many local charities and nonprofits through sponsorship and volunteer work. NFM has also been involved in charitable efforts with St. Jude, Platoon 22, John Hopkins Medicine, AnySoldier, JAFCO, The Maryland Food Bank, The Gary Sinise Foundation, and the SPCA. For more information about NFM Lending’s charitable work, click here.